Tourists are always keen on exploring new cultures, discovering new people and making remarkable memories in unforgettable places. 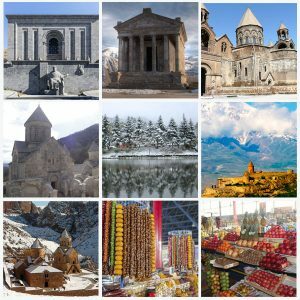 Armenia is one of the oldest countries which has rich and attractive sights, eye-catching for tourists. 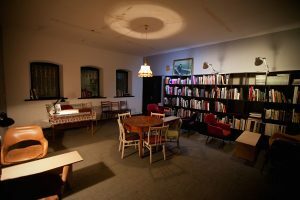 Mirzoyan Library: Located on an old street called Mher Mkrtchyan; it’s not just an ordinary library, it is the first photo library in Armenia. It contains collections of famous photographers, together with its founder’s Karen Mirzoyan’s snapshots. This photo-library has an old-fashioned Soviet-style cafe with delicious menu. The library organizes countless events such as photo exhibitions, documentary movie screenings, and live music. All these make this library a memorable place for locals and tourists. Dalan Art Gallery/Abovyan 12 Cafe/Restaurant: What makes this place so special is the combination of an art gallery, a souvenir shop, a silver shop, a tea house, an open-air restaurant, and a cafe. 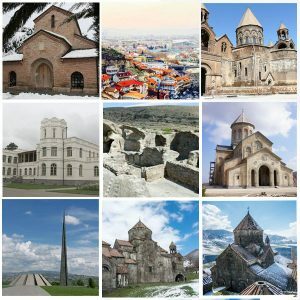 There is no place in Yerevan like Dalan. 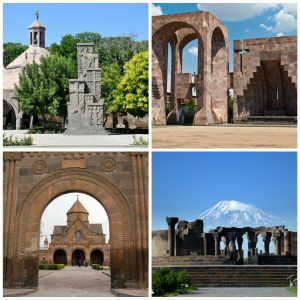 It represents both the old and modern Armenian culture.The gallery presents and exhibits modern contemporary Armenian artwork. 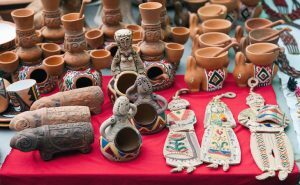 The souvenir shop offers traditional Armenian handmade work. 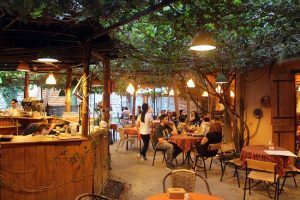 In the backyard of the souvenir shop, there is an open-air cafe and restaurant Abovyan 12, where you can enjoy the scrumptious menu, gigs, and lovely atmosphere. 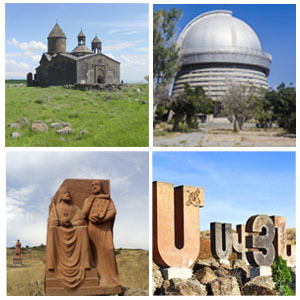 Dalan is one of the few places that has a magnificent piece of art, as well as mouthwatering Armenian dishes. It is definitely a must visit place. Vernissage Open-Air Market: A grand souvenir open air-market in Yerevan. It is the market that brings all artists and sellers together. At Vernissage you can find a diversity of goods, but at the same time, they are in harmony. 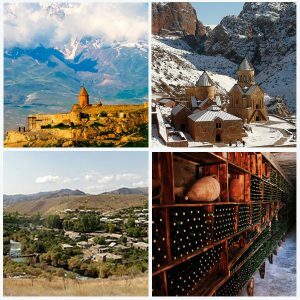 This market offers handmade pieces of jewellery, beautiful handcrafts, paintings, Armenian carpets, traditional Armenian bags and scarves, Soviet-era antiques, books and much more. Every single piece is made by a talented Armenian. On Saturdays and Sundays Vernissage is crowded with plenty of different people including artists, tourists, and locals. Vernissage is like a rainbow that combines the essential colors of Armenia’s identity. The Victory Park: Yerevan’s beauty is not only focused on modern buildings, new restaurants, and cafes. Yerevan has many gorgeous parks such as the Victory Park. This gigantic park is located at the top of Cascade. 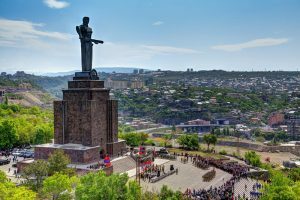 What makes it so special is the combination of cafes, an artificial lake, the Mother Armenia statue, the war museum, and a picturesque view of the city center.